The new London Living Wage rate has been announced! The Mayor of London Boris Johnson has today announced a near three per cent increase in the London Living Wage and revealed 295 additional employers this year are now paying their staff the capital’s hourly rate. The London Living Wage has increased from £9.15 to £9.40 per hour, a rise of 2.7 per cent, and the calculation of the rate reflects the higher costs of living in the city. Announcing the increase today [Monday 2nd November], the Mayor also revealed the number of employers now paying their staff the London Living Wage has grown from 429 to 724 in the last 12 months. This compares with just 27 employers who publicly backed the Living Wage in 2008. Major brands including Chelsea Football Club and GlaxoSmithKline have all joined the army of organisations now accredited as London Living Wage employers over the last year. Since 2005 the London Living Wage has increased by 40.3 per cent. Since 2011 more than 30,000 workers across the capital have received a pay rise as a result of employers taking up the Living Wage accreditation. I am delighted that more than 700 employers have signed up to paying the London Living Wage and we now have tens of thousands of employees being properly rewarded for the work they do. As our economy continues to grow and employment in London increases, it is essential all hardworking Londoners receive a fair share of the proceeds of the capital’s success. I have long argued that those companies that can afford to pay the London Living Wage should do so because there are clear benefits for employers in increasing productivity and reducing staff turnover, while it makes a real difference to the quality of life for employees. The Mayor is actively encouraging businesses and organisations across London to sign up to the Living Wage Foundation’s accreditation scheme. He has written to more than 100 chief executives in the last 12 months, primarily in the retail, legal and service provider sectors, as well as football clubs and a number of FTSE 100 companies. 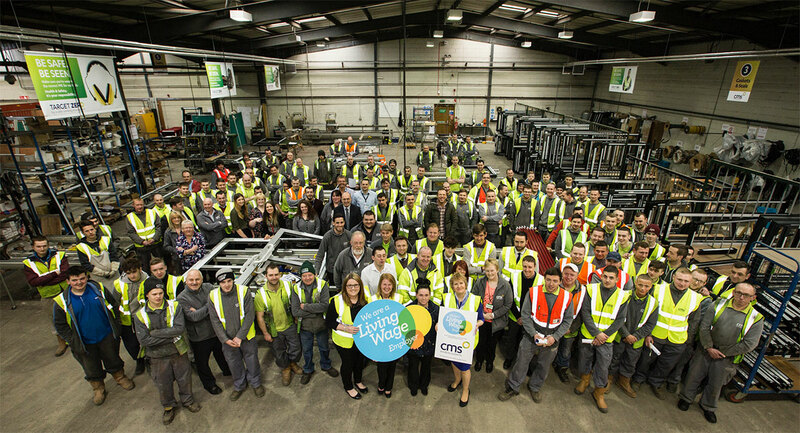 Research produced this year by the University of Strathclyde and the Living Wage Foundation highlighted the benefits to businesses that come from paying the Living Wage. As well as boosting the wages of staff, it can reduce staff turnover and absenteeism, increase worker morale and loyalty, boost productivity and enhance the reputation of an organisation. Today’s announcement of the new, increased, London Living Wage rate brings a welcome pay rise to thousands of workers across the capital. Londoners are well aware that living costs in the capital have been rising faster than wages, and for many staff that are paid salaries close to the national minimums, life in this amazing city can be clouded by struggling from one pay day to the next. London businesses are leading the way, with hundreds of employers voluntarily paying their people the London Living Wage. This independently calculated rate reflects the real cost of living in London. The difference between this rate and the new minimum wage premium for over 25s of £7.20 is stark. Hard working Londoners are the capital’s life blood, they need a wage that respects the contribution they make to this great city.